Beemster cheese is a real Dutch cheese with extra quality. 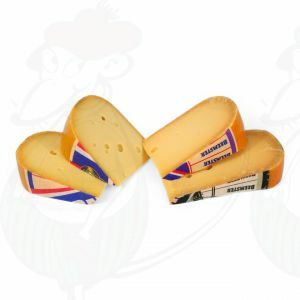 The cheese is made of delicious creamy dairy from the Dutch Beemster polder. This makes the cheese of very high quality. A beautiful place and nice to know that the Beemster polder is on the list of World Heritage of UNESCO. 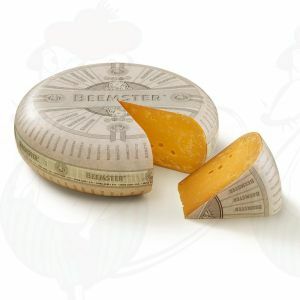 This gives Beemster cheese certainly more character and you'll taste the differtent! 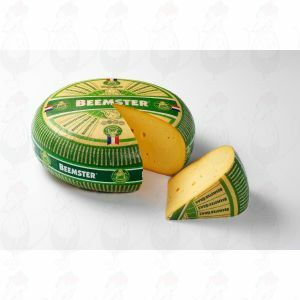 Beemster cheese is traditional Dutch cheese, which has been popular for generations. 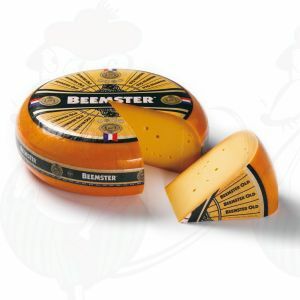 When one thinks of full, creamy Dutch cheese, Beemster springs to mind straightaway. The cheese makers prepare their cheese in a traditional way. This means that they work according to traditional methods, albeit using modern techniques. This way every block of cheese has the unique, recognisable Beemster flavour. 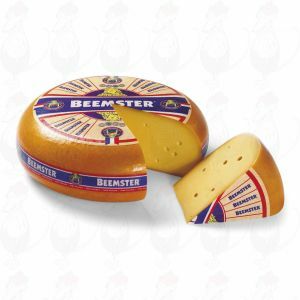 Beemster is a symbol of quality and has thus also earned its spurs abroad. The Extra Mature Beemster cheese was awarded the silver medal at the Wisconsin World Championship Cheese Contest of 2014. Beemster is therefore a big name, all over the world. 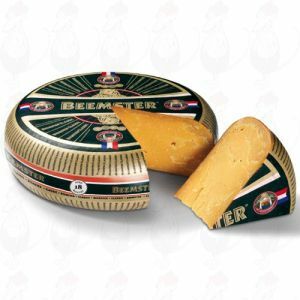 In the assortment of the Goudse Kaas Shop you can find the Beemster Jong Belegen (mild), Beemster Belegen (medium) and Beemster Oud (mature). Beemster cheese is made from milk that comes from the Beemster polder. This polder was drained in the 17th century and since the year 1901 the farmers have joined together to make cheese. The fertile soil is ideal for agriculture, but also for cows. The cows spend at least six months outside every year and eat the nutritious grass. As a result, their milk is packed with good minerals and proteins. Cheese and milk are inseparable. Without good milk, there is no unique cheese. At Beemster, only milk of the very best quality is used. A fun fact: the Beemster polder is on the UNESCO world heritage list. That is a special award that does justice to these unique cheeses. The Beemster cheeses are produced according to traditional methods, using rennet and a starter culture. The composition of this starter is a carefully kept secret, because it gives the cheese its full, creamy flavour. The curd also receives a lot of attention. The Beemster cheese makers are responsible for the curd themselves and stir it personally. In this way, they guarantee that every cheese is worthy of the Beemster label. The right combination of ingredients ensures the recognisable ‘pliable’ mouthfeel. The cheeses are eventually matured on wooden planks, which remove the moisture. The longer the cheese remains on the shelf, the saltier the final product will be. 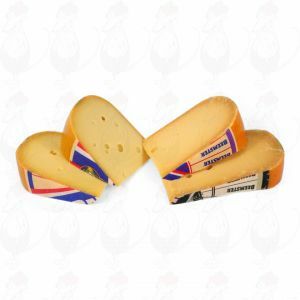 A young Beemster cheese is ready for sale after just one month, while a mature cheese stays on the shelf for up to 18 months. 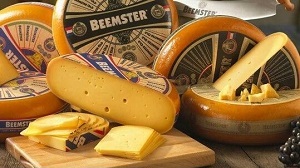 Beemster is known for its sustainable production process. The cows get enough time in the pasture, but are also well cared for in the barn. In addition, farmers receive a fair price for their milk. 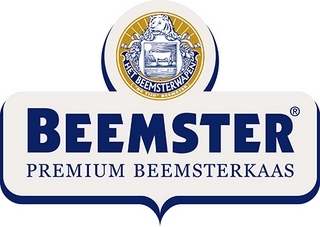 Beemster also ensures that the production of cheese is not done at the expense of the polder. That is why every day new techniques are investigated, so as not to disturb the natural balance. When the cow is satisfied, the cheese makers are too! On this page you will find the full range of Beemster cheeses from the Goudse Kaas Shop. Is your favourite cheese not listed? Then please contact us. In many cases, the cheese can simply be ordered from the supplier. Would you like to try the Beemster cheese first? 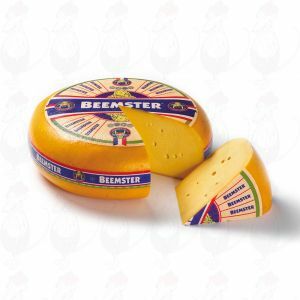 Then choose the Beemster cheese – Cheese pack!